Back on market as buyers financing fell through. A rare second chance to own your dream home! FABULOUS Mid-Century home has been updated with high-end finishes, smart home features, NEW roof (2015), furnace (2011), water heater (2016). Main level includes beautiful beetle-kill shiplap wall & stunning new kitchen. Kitchen features granite-slab countertops, custom hand-glazed tile backsplash, SS appliances, & elegant cabinetry with soft-close & integrated undercabinet & drawer lights! Basement features optional built in 100 Theater with surround sound, sectional sofa, & voice control with Alexa/Google integration. Entertain in Rec Room with included bar and room for game table. Unwind in the large bathroom with a relaxing rain shower. Finished laundry room includes HE washer, steam dryer, sump pump, & storage. Spacious back yard with covered patio, garden, large trees, & optional fire pit. 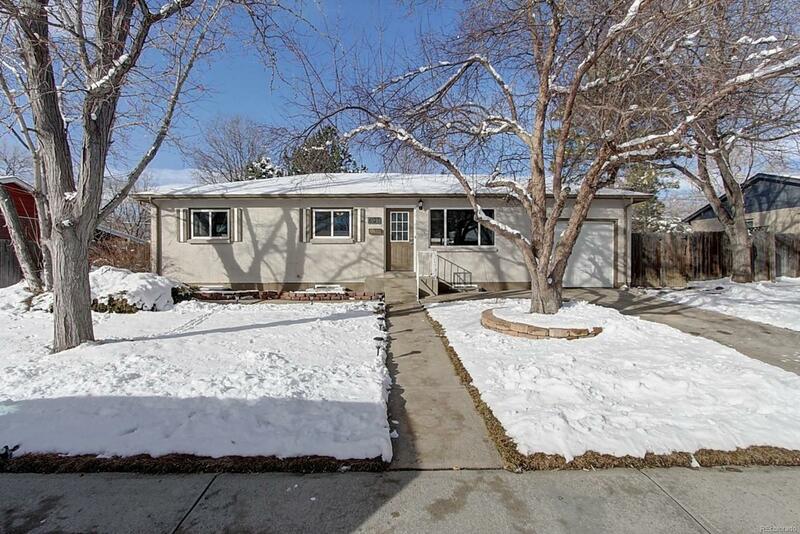 Located close to Olde Towne Arvada and 1 block from Fitzmorris Pool and Ralston Creek Trail!